RRP $349.00 $267.00/unit for 4 pcs. 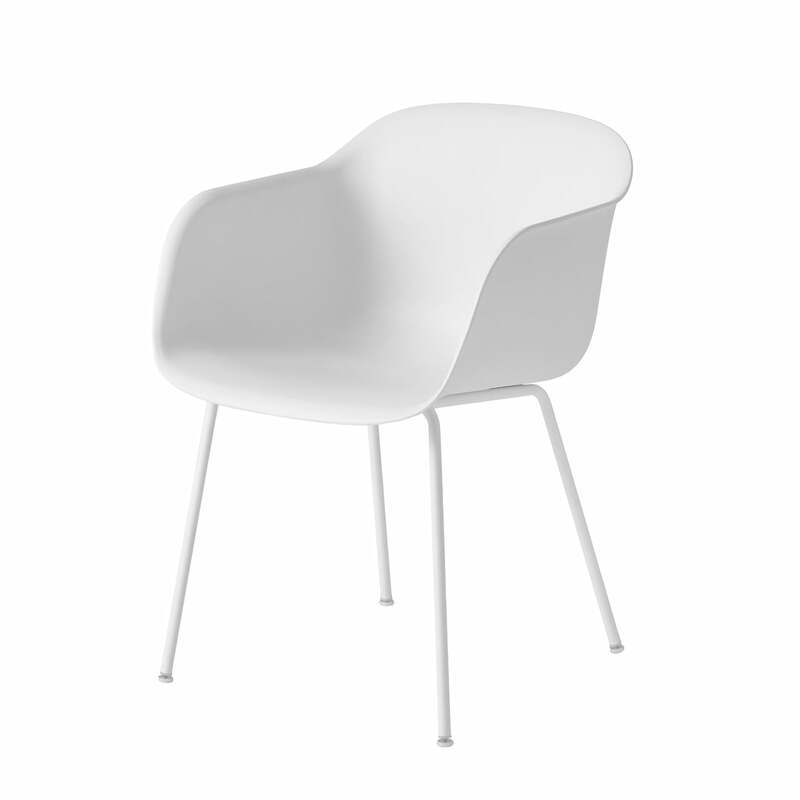 The Fiber Chair Tube Base by Muuto is a chair made of innovative shell material made of recyclable plastic and wood fibres. The design comes from the design studio Iskos-Berlin. 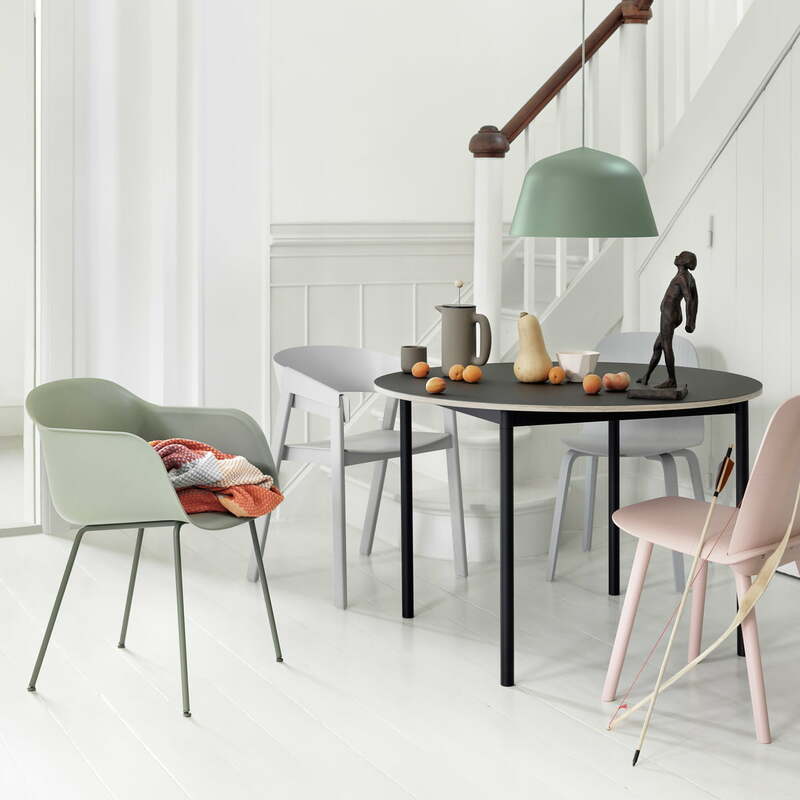 While the material of Muuto's Fiber Chair Tube Base is completely new, the silhouette is inevitably reminiscent of a great classic: the Eames Plastic Armchair. 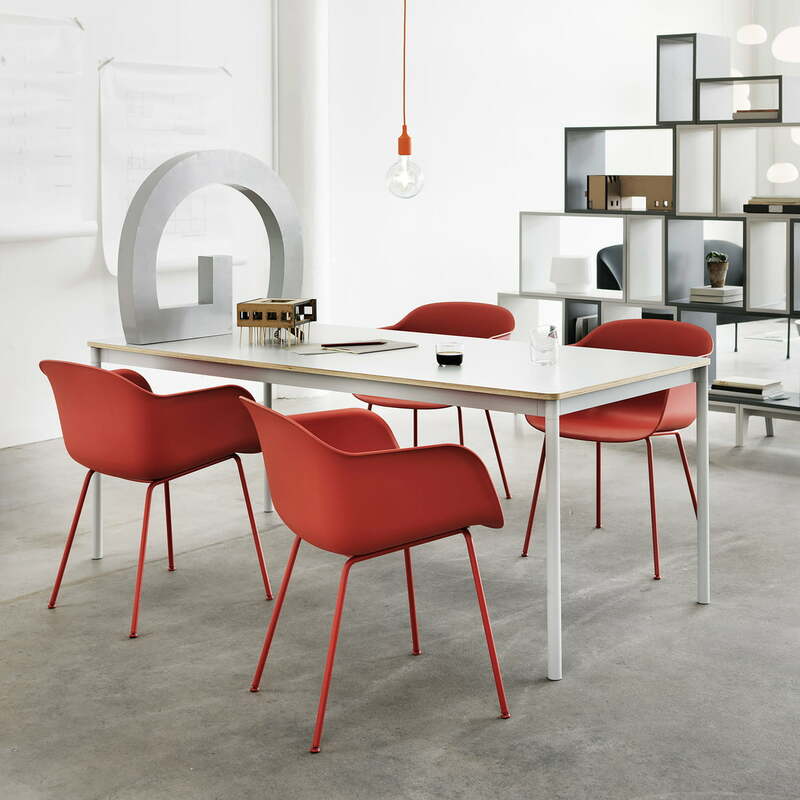 The design is no coincidence, because as with its design model, every line and every detail of the Muuto Fiber Chair is designed to offer maximum comfort with minimum space requirements. 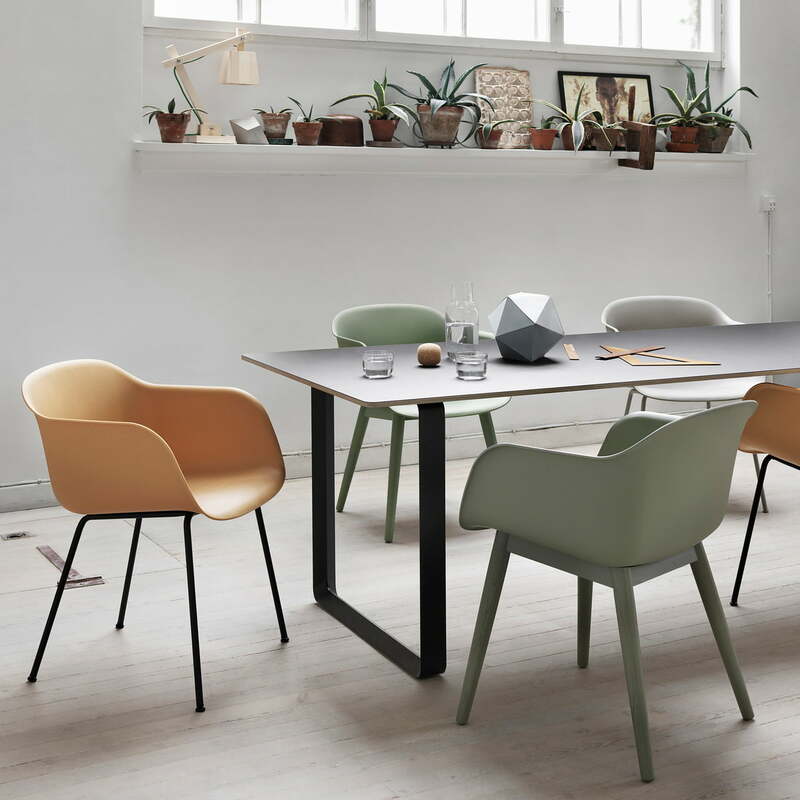 The classic style makes the Fiber Chair suitable for every dining room, every table, every conference room, every auditorium and every office. "One of the most difficult and noble disciplines is to design without eccentricity. 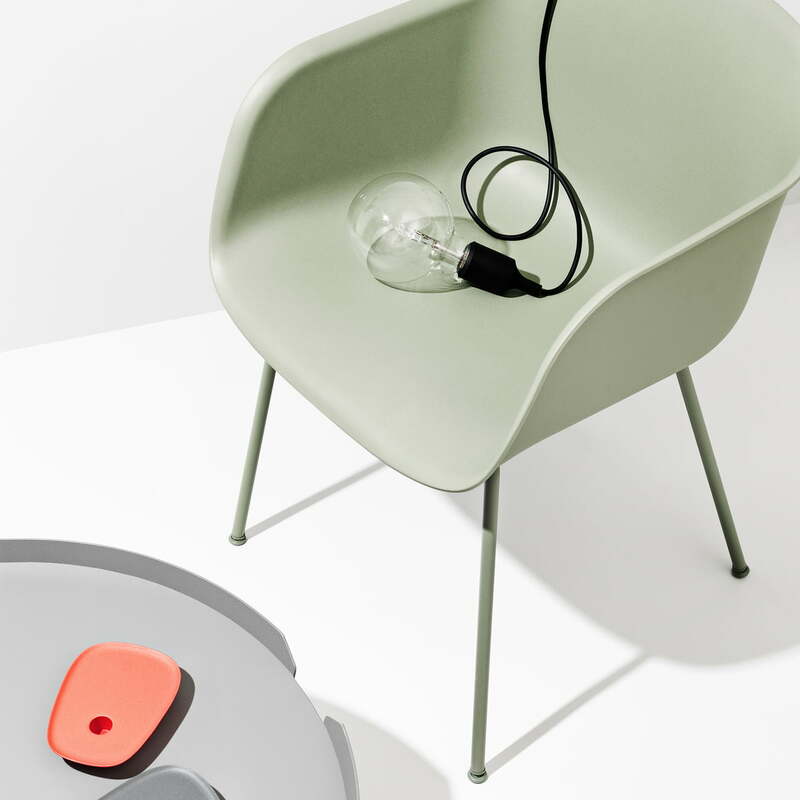 To create simple, well-functioning, almost ordinary objects that nevertheless have strong identities" , says the design team Iskos-Berlin, which, contrary to all expectations, comes from Copenhagen. 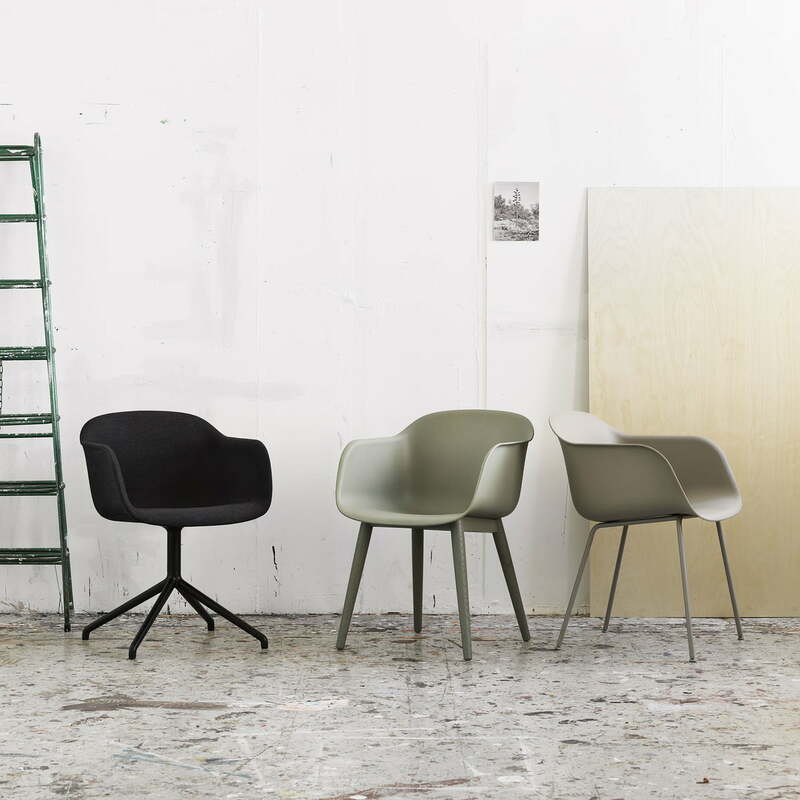 "We designed Fiber chair to do just that with a clear sculptural language that refuses to compromise on comfort. 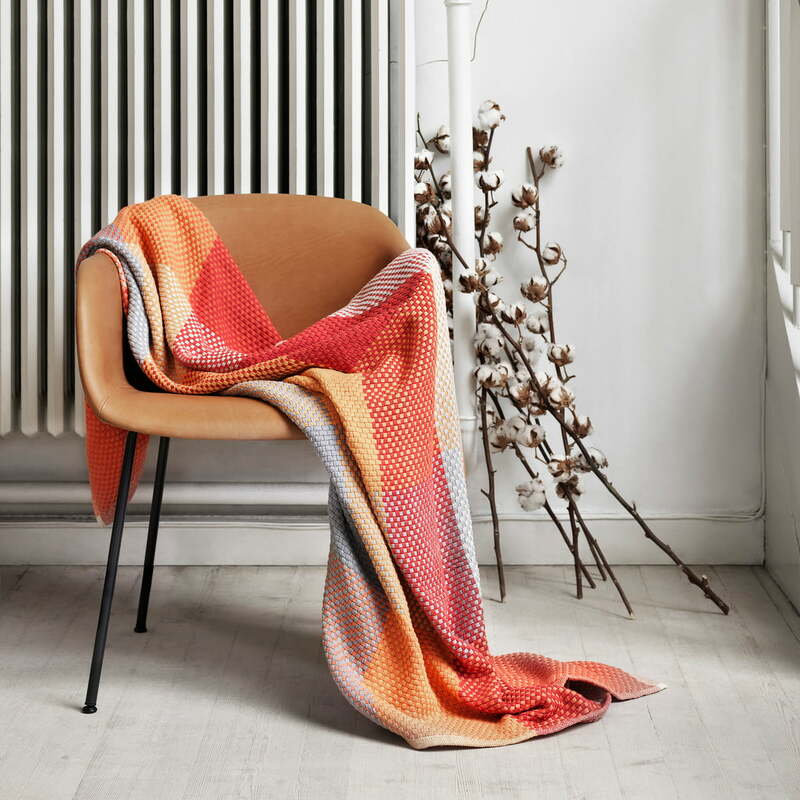 t’s a chair stripped of all unnecessary layers leaving the chair with a seat, back and armrests that is integrated in one harmonious shell, perfect for nesting yourself into. 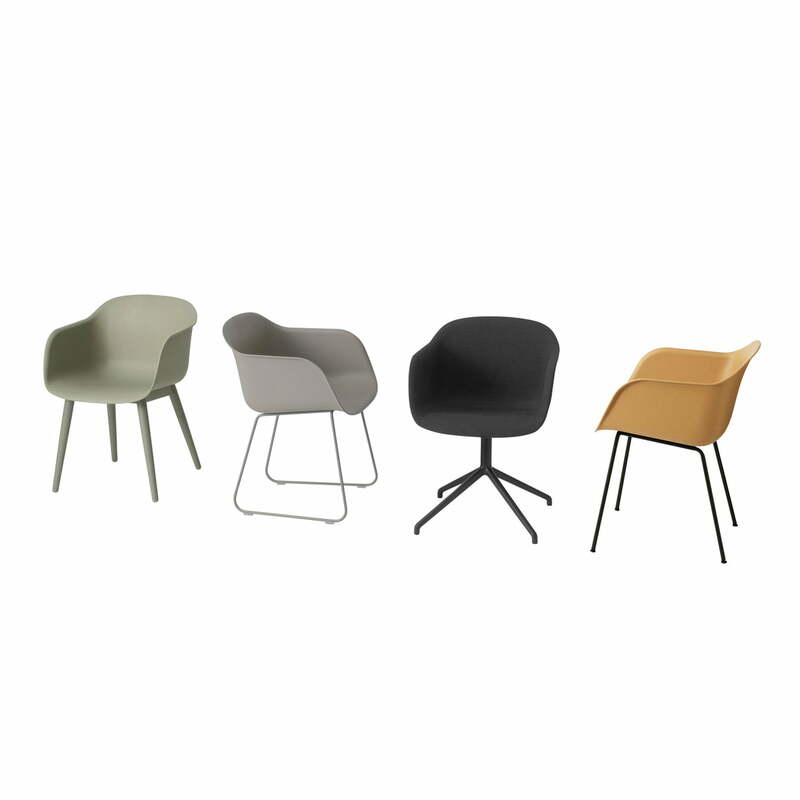 The iconic form marries soft, embracing curves with an environmentally friendly wood fiber composite, giving Fiber chair a distinctive tactile texture while also keeping it 100% recyclable." 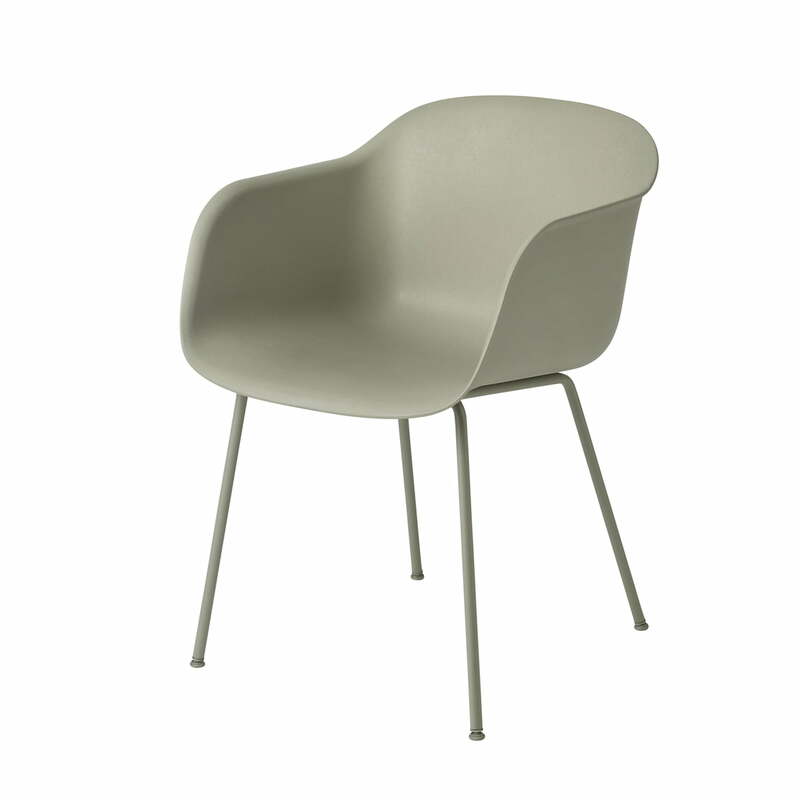 The shell of the Muuto designer chair is made from a blend of 25% wood fibre and 75% recyclable polypropylene. 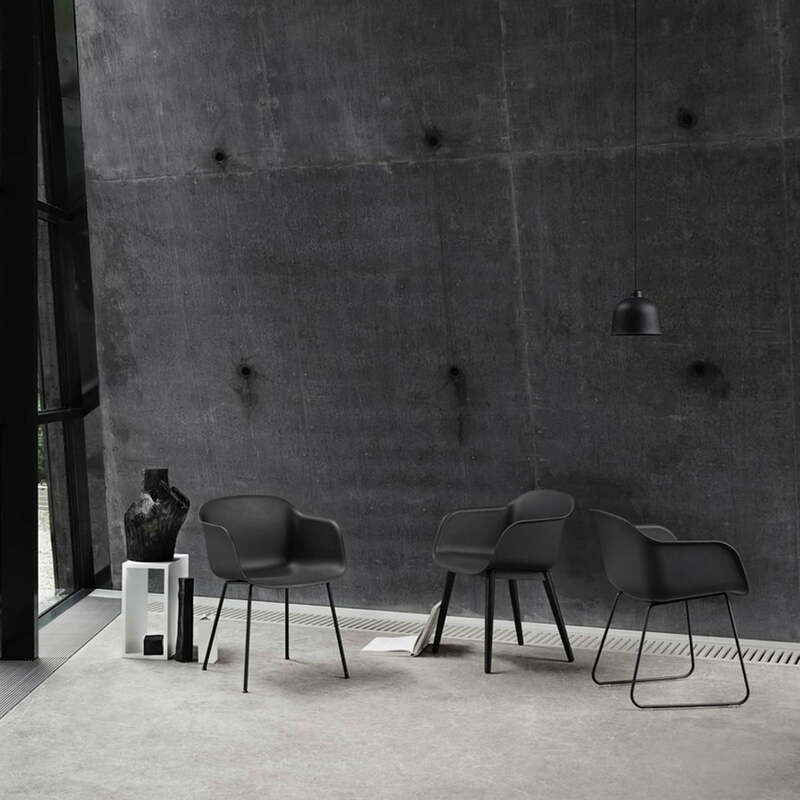 The frame of the Fiber Chair Tube Base is made of cast aluminium. 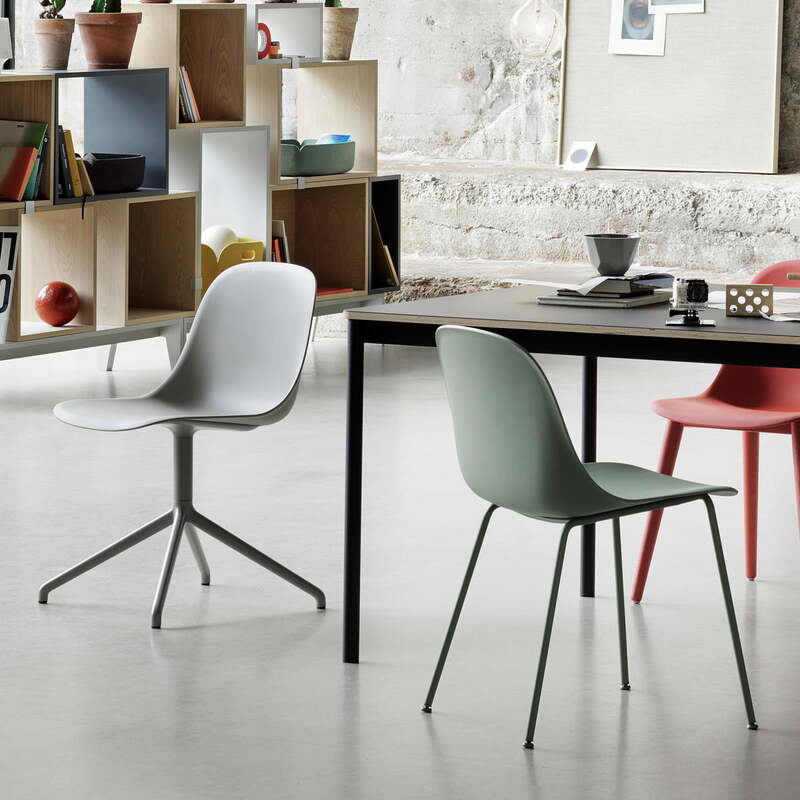 The Muuto Fiber Chair is also available as Fiber Chair - Swivel Base with bogie and as Fiber Chair - Wood Base with wooden frame. Numerous other options are available on request in terms of colour and upholstery. It is a comfortable chair. This chair rally conform with ergonomics. But the color is not pure white, it had some grain. I think it still a good chair.